See places like Hanauma Bay when visit Hawaii. Why should you visit Hawaii? Well, if you believe the famous American author, Mark Twain, you should. He referred to the Hawaiian Islands as “the loveliest fleet of islands that lies anchored in any ocean.” And many who make the same journey to the Aloha State will often agree. But the uniqueness of Hawaii makes it a place where many visitors will always want to return. Below are some of the many reasons why you should visit Hawaii, the Aloha State. 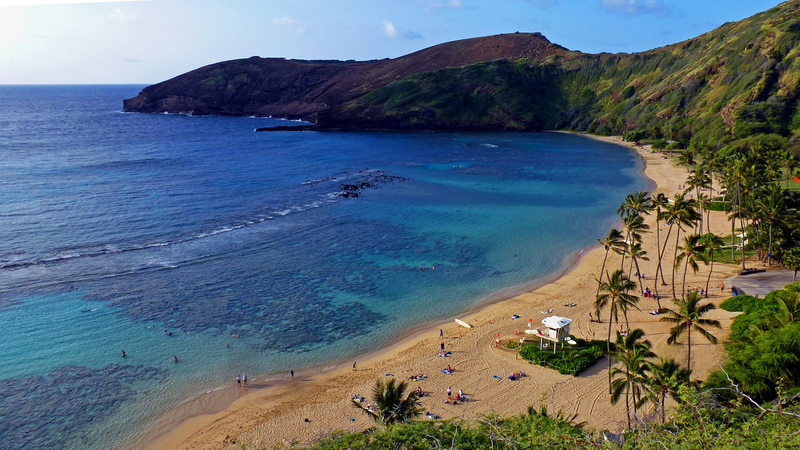 Hawaii has arguably the most beautiful and inviting warm water beaches that you can find anywhere in America. Such locations include: Lanikai Beach and Haunama Bay on Oahu, Polihale Beach on Kauai, Black Sand Beach at Waianapanapa State Park on Maui as well as Hapuna Beach on the Big Island of Hawaii. Many will agree that there are no beautiful beach areas like these on the US mainland. 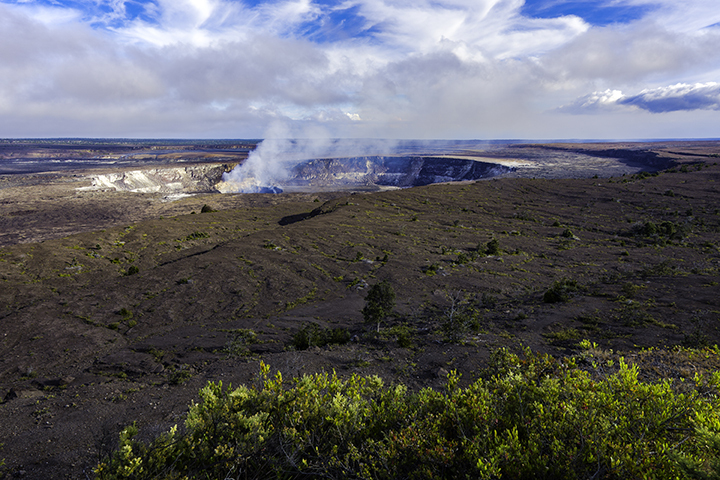 On the Big Island of Hawaii, you can see up close, Kilauea in Hawaii Volcanoes National Park. This is a volcano that has been continuously erupting since 1983. Also on the Big Island, you can drive up to the top of the world tallest mountain if measured from its base on the sea floor. Take a helicopter or a zodiac raft ride to visit the famous Na Pali coast on the Garden Isle of Kauai. Here, Hollywood blockbuster movies like Jurassic Park, Pirates of the Caribbean and King Kong were filmed. You can see migrating humpback whales on the Valley Isle of Maui. You can also drive above the cloud line to the 10,000 foot summit of Haleakala volcano to see the rare and endangered nene goose. The nene exists nowhere else in the world. Because of the distances involved and its multicultural environment, if you live in the US, traveling to Hawaii is almost like traveling to another country. But you’re not. One of many advantages of visiting Hawaii is that you have all of the advantages of being in America. But at the same time, you almost feel like you’re in a totally different country. The capital and largest city in Hawaii is Honolulu, a modern urban area that is America’s 11th largest municipality. 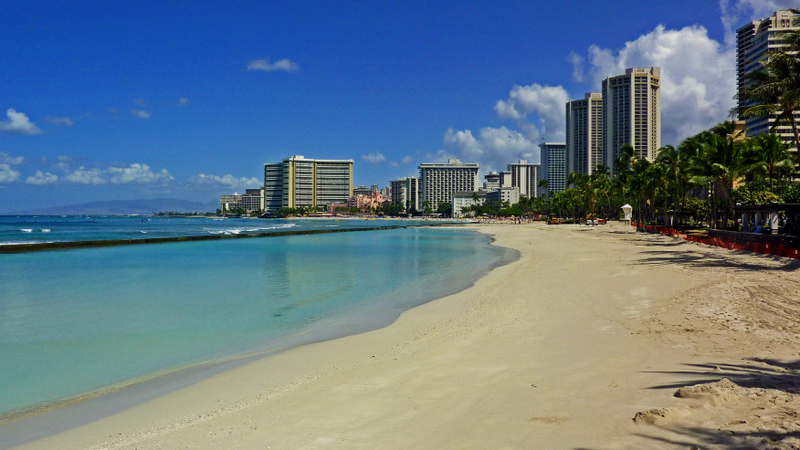 Here, you can find Waikiki, one of the most popular tourist destination areas in the world. The city features a wide range of high end resorts and budget friendly hotels. It also has restaurants of all types including ones that offer Hawaii’s own Pan Asian cuisine. You will also find modern, world class resort destination areas on the other Hawaiian Islands. On Maui, there are the Ka’anapali, Kapalua and Kihei areas. Here, you can find a nice mix of luxury resorts as well as nice accommodations for those traveling on a budget. 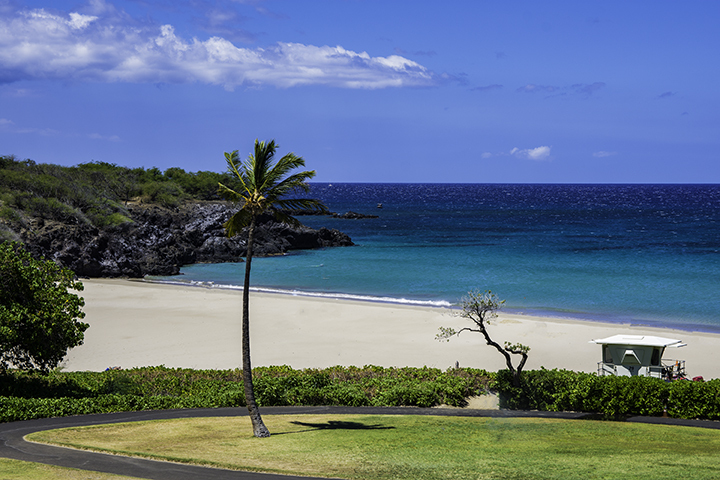 On the Big Island there are the high end resorts along the Kohala Coast. While on Kauai, there are the spectacular resorts to be found in Hanalei and Poipu. But just literally a new minutes’ drive beyond the luxurious resort areas you can find an amazing range of countryside attractions and sights. Trek into mountain side verdant rain forests. You can find them on the Windward coast of Oahu, the Hamakua coast of the Big Island or Mount Waialele on Kauai. Explore quaint and historic rural towns. These are towns like Haleiwa on Oahu, Wailuku on Maui, Captain Cook on the Big Island and Waimea on Kauai. You can even cruise along rugged and picturesque seacoasts. Examples include the iconic Hana Highway on Maui, the eastern coast of Oahu on Kalanianaole Highway and along the southern coast of the Big Island. Hawaii is arguably the center of culture and history for all of Polynesia. 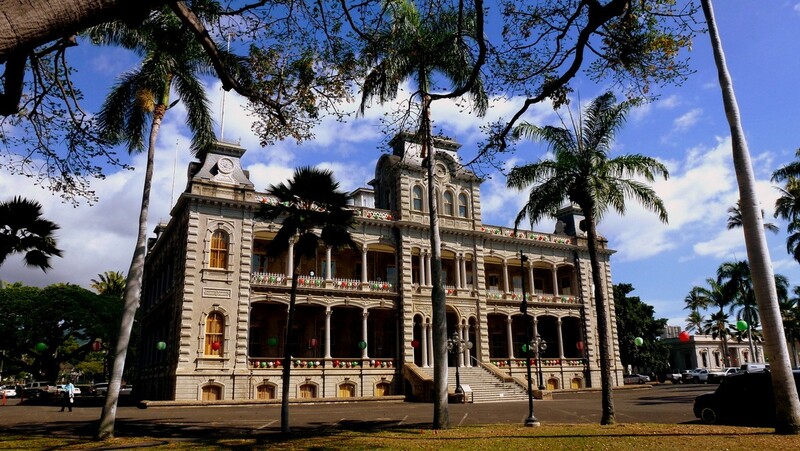 In the downtown and civic center area of Honolulu you can visit Iolani Palace. It is the only royal palace in the entire country which was once the home to Hawaiian kings and queens. Nearby is the Bishop Museum where you can see what is one of the largest collection of artifacts and displays of ancient Hawaiian culture. About an hour’s drive from Honolulu is the Polynesian Culture Center. Here, you can immerse yourself in Polynesian cultures from far-flung places such as Tahiti, Samoa, Tonga, Fiji, Aoeteroa (New Zealand) in addition to Hawaii. The Big Island is home to three sites managed by the National Park Service. They preserve as well as interpret some of the most important cultural sites in Hawaiian culture. They include the Pu’uhonua o Honaunau National, Kaloko-Honokohau and Pu’ukohala Heiau National Historical Parks. 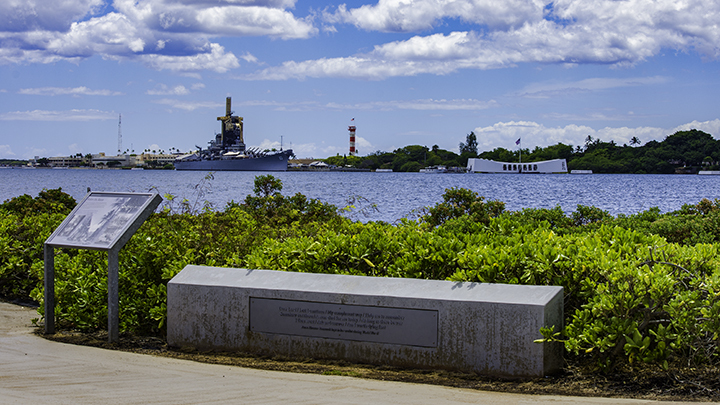 The USS Missouri and the Arizona Memorial at Pearl Harbor. Those that visit Hawaii will discover, it is the home of one of the most important sites in American history. It is also the most visited attraction in the Aloha State, the USS Arizona Memorial in Pearl Harbor on the island of Oahu. The memorial is a part of the multi-state World War II Valor in the Pacific National Monument. It honors the sacrifices of those who fought in America’s first involvement in World War II including the over 1,100 sailor and marines who are still entombed within the sunken remains of the battleship USS Arizona.